By Christine Yoshinaga-Itano, Ph. D.
The following is a Synopsis of the Libby Harricks Memorial Oration number 17 given in Australia in June 2015. The Deafness Forum of Australia granted permission for this printed synopsis. Imagine a world where a family with a newly diagnosed child with hearing loss is provided services by a pediatrician who is him/herself deaf. Today, we have some examples of individuals with this level of education, but, if we are successful, these numbers will increase. Perhaps the Ear, Nose and Throat physician is also deaf or hard of hearing and the audiologist who diagnoses the hearing loss is deaf or hard of hearing. The parents are contacted by an early interventionist who is deaf or hard of hearing. The psychologist, social-worker, or counsellor who assesses the family’s child or who assists them through their adaptation to the diagnosis is deaf or hard of hearing. Some of these individuals communicate exclusively through spoken language. Others switch from spoken language to sign language depending upon the conversational partner. Others communicate exclusively through sign language. In this imagined world, parents would navigate through the health and educational systems being provided services by individuals who are themselves deaf or hard of hearing, as well as professionals who are hearing. They are interacting with these individuals, not because they are deaf or hard of hearing, but because they have a significant service and expertise to provide the family. Thus, we arrive at a concept of infusion into the fabric of the entire system. Many parents who have newborns diagnosed with hearing loss have never met or interacted with an individual who is deaf or hard of hearing. They may have only stereotypes of what it means to be deaf or hard of hearing. Their adaptation to the diagnosis which often involves grief and mourning is influenced by their previous experience with deafness and hearing loss. If parents’ initial interactions with the newborn hearing system happen to be with individuals who are deaf or hard of hearing, there to provide them with professional expertise, they will focus not on the deafness/hearing loss, but on the person who is supporting them. Knowledge about what a child who is deaf or hard of hearing could become and the things s/he could accomplish, can dramatically alter the sequence of the process of grieving. As children who have benefited from early hearing detection and intervention (EHDI) systems grow up, there are an increasing number of them who are choosing to participate in the system as professionals in a variety of capacities. There are, for example, increasing numbers of children who are deaf or hard of hearing, users of hearing aids and cochlear implants, who have chosen to become audiologists. Some have chosen to become early intervention providers or teachers of the deaf. There is a growing number of individuals who are deaf or hard of hearing who have become allied health professionals, physicians, psychologists, social workers, teachers, pharmacists, dentists, occupational therapists, and speech/language therapists. The journey for families typically starts at the referral from the universal newborn hearing screening (UNHS) in the hospital to either an outpatient re-screen or a diagnostic audiological evaluation. The anxiety of families arises when they are told that the child did not pass the hearing screening and increases at each level of the system and with the time that elapses until the family receives more information. For the family who is greeted by an audiologist who is a hearing aid, or a cochlear implant user or has chosen a visual communication without the use of amplification, the family begins, often for the first time, to establish an idea of what it means to grow up deaf or hard of hearing. In one metropolitan hospital system, two of the audiologists have congenital hearing loss. Families whose infants are tested by one of these audiologists would have the confirmation that the child is deaf or hard of hearing delivered by a professional who is deaf or hard of hearing. Immediately after the diagnosis from any audiologist at this hospital, the parents go to an office at the same hospital, where they are introduced to a professional who is profoundly deaf and who has cochlear implants but who used hearing aids for most of her life. She has worked as an early intervention professional for families who have infants and toddlers who are deaf or hard of hearing for over 25 years. 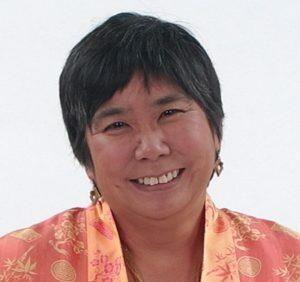 This experienced professional provides counselling services immediately after the diagnosis of hearing loss to a significant proportion of families with newborns identified after UNHS in the state of Colorado, because she works in a pediatric hospital that is a center for excellence for pediatric patients with hearing loss. Such interactions create a new “normal” for parents of newly-identified infants/children who are deaf or hard of hearing. Their perspective about deafness and hearing loss is now impacted by an individual who provides them support and professional services, knows what it is like to grow up as a deaf/hard of hearing individual and what it is like to live and work as an adult who is deaf. If the family lives in the largest metropolitan city in this state, the first contact in early intervention is an educator of the deaf who specializes in early childhood deafness. She has a Master’s degree in deaf education and also in Spanish. She grew up with a bilateral severe-to-profound hearing loss and received a cochlear implant as an adult. She is fluent in sign language, spoken English and spoken Spanish. She has extensive experience working with families with newly identified children who are deaf or hard of hearing. She is a Colorado Hearing Coordinator who is designated as the first contact for families in the most highly populated metropolitan area in the state. In all of the scenarios described above, the professionals who are deaf or hard of hearing, have professional training and experience in the professional service that they are providing to the family. In some cases, unless the professional identifies her/himself as a person who is deaf or hard of hearing, the family may not be aware or may not immediately realize that the professional is an individual who is deaf or hard of hearing. While it is unlikely that any one family would see all of these professionals who are deaf or hard of hearing, the odds that they will encounter at least one of these professionals is quite high. On average, the families in Colorado will have interacted meaningfully with multiple and diverse professionals who are deaf or hard of hearing in the first few years of life. 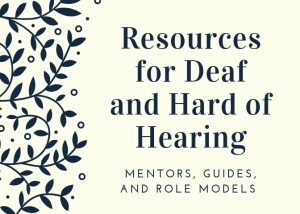 In each of these situations, the family has an opportunity to ask these professionals questions about their personal stories and what it was like to grow up deaf or hard of hearing. Just as would occur with a hearing child, the family and child are exposed to a vast variety of diverse individuals, thus, providing a perspective early in the child’s life that there is a world of opportunities available, things they can anticipate as their child grows up, as well as challenges that families and children face. In some systems, individuals are trained as role models. Parents often ask basic questions: What’s wrong with my child? What will my child be like later? What can be done to help my child? (Bagnato, Neisworth, & Munson, 1997). Deaf and hard of hearing individuals with training are especially skilled at being able to respond to these families. 1) I saw on the internet that deaf adults have a low reading level – is that true? 2) What will my child’s speech be like? 3) You have good speech – how can I make sure my baby does? 4) Do you wear hearing aids? Why or why not? 5) Will you get an implant? Why or why not? 6) Should I stop playing my guitar? 7) Kids are cruel…. How can I make sure that my child won’t be teased? 8) You have good self esteem – how do I develop that in my child? 9) When will I stop crying? 10) What about school… can my child go school with his sister? Or does he need a special school? Did you go to public school? 1) Do you have kids? A spouse? Hearing or deaf? 3) Can you talk on the phone? 5) How do you hear in the dark? Parents appreciate a personal perspective from a D/HH role model. It increases the families’ openness to examine issues in greater detail. Families report that interactions with D/HH individuals calm anxiety. 7) using a vibrating alarm clock. Watkins, Pittman and Walden (1998) published outcomes from the Experimental Deaf Mentor Program established in the 1990s. The program provided families with a Deaf Mentor who taught the families American Sign Language, information about deaf culture and their personal knowledge of deafness. The children receiving a Deaf Mentor in Utah were matched with children in a SKI-HI early intervention program in Tennessee who did not have a Deaf Mentor. They found that the children participating in the Deaf Mentor program had significantly higher scores on tests of early receptive and expressive language. Today, the Deaf Mentor program includes about 18 states but not all states have programs that provide services to all families who have children who are D/deaf or hard of hearing who would like to learn American Sign Language. In addition, there are other states that have initiated sign language instruction programs including Arizona, Arkansas, Georgia, Hawaii, Illinois, Vermont, Minnesota and Wisconsin, New Mexico (Abrams & Gallegos, 2011), and outside the United States, Kenya. Some programs call these sign language instruction programs Deaf Role Model Programs, (Abrams & Gallegos, 2011, Mohay, Milton, Hindmarsh, Ganley, 1998, Parasnis & Fischer, 2005; Takala, Kuusela & Takala, 2001). In 2013, the Early Intervention Supplement to the Joint Committee on Infant Hearing Position Statement (2007) was published (http://pediatrics.ons.org/content/131/4/e1324.full JCIH, 2007). Two objectives dealt with deaf and hard of hearing individuals. Of the 11 objectives, three of them include objectives related to the topic of this presentation. The following discussion includes the exact wording of this Early Intervention Supplement, designed to be as recommended practice. Goal 3a. (pg. e1328) Intervention services to teach American Sign Language (ASL) will be provided by professionals who have native or fluent skills and are trained to teach parents/families and young children. Goal 10. (pg. e1337) Individuals who are D/HH will be active participants in the development and implementation of EHDI systems at the national, state/territory, and local levels. Their participation will be an expected and integral component of the EHDI systems. Goal 11 (pg. e1338) All children who are D/HH and their families have access to support, mentorship, and guidance from individuals who are D/HH. This goal intends that families have access to meaningful interactions with adults who are deaf or hard of hearing who have the knowledge and skills to mentor, support, and guide families in culturally and linguistically sensitive ways and to serve as communication/language and social role models and mentors for deaf and hard of hearing children and their families. The overarching goal is to have deaf and hard of hearing individuals woven into the fabric of EHDI systems at every level. Deaf and hard of hearing individuals know “what works” to meet their language and communication needs in a way that hearing people cannot. Since the support of language and communication of babies is intended to be the heart of EHDI systems, it is critical to include deaf and hard of hearing adults in these systems. Currently, there are few, if any, EHDI systems that include deaf and hard of hearing participants in a meaningful way. The system should have diversity of representation at many levels. 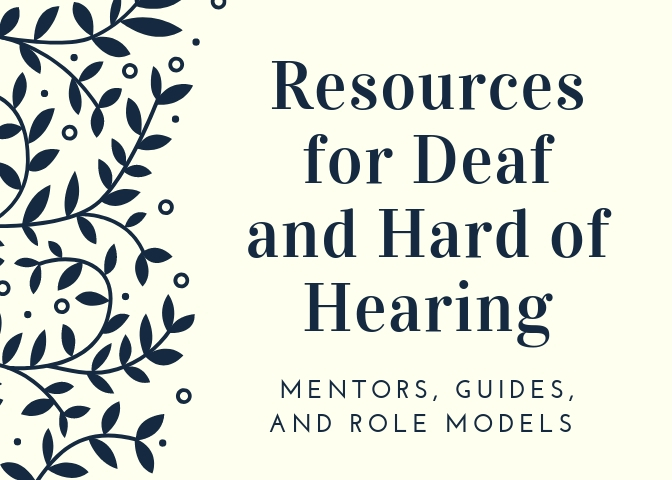 Deaf and hard of hearing persons should be included, for example, as EHDI directors, EHDI advisory panel chairs and members, administrators, Part C coordinators, audiologists, pediatricians, counselors, mentors, sign language teachers, and in other roles. Research demonstrates the benefits to families of connections with members of the deaf and hard of hearing community. Parents who have many contacts with deaf and hard of hearing adults exhibit a strong sense of competence in regard to raising their child (Hintermair, 2000). Hearing parents identify deaf parents as one of the most important sources of support (after teachers, therapists, and spouses) (Meadow-Orlans, Mertens, & Sass-Lehrer, 2003). Children from families who received deaf mentor services made greater language gains, had considerably larger vocabularies, and scored higher on measures of communication, language, and English syntax than similarly situated children without deaf mentor services (Pittman, 1998). Deaf community members are able to provide deaf children with something hearing parents cannot, experience as a deaf person. In summary, the purpose of EHDI systems is for children who are deaf or hard of hearing to have the opportunity to achieve their potential, to have comparable opportunities to children with hearing. 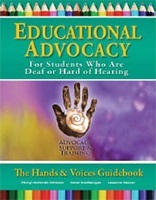 When individuals who are deaf or hard of hearing are infused throughout our EHDI systems, so that children who are deaf or hard of hearing can decide to become doctors, psychologists, audiologists, teachers, social workers, early intervention providers, sign language instructors, or deaf role models, successful accomplishment of the goals of EHDI will be met. Providing families and children with the support they need to develop skills commensurate with their cognitive potential should result in a world of opportunity for the newborns that are identified. That world is within our reach. The Australian Government funded the establishment of Deafness Forum in 1993 to provide quality advice to it on behalf of the entire deafness sector. This advice, offered consistently over two decades has informed government policy and played an important role in building a fairer and more inclusive nation.